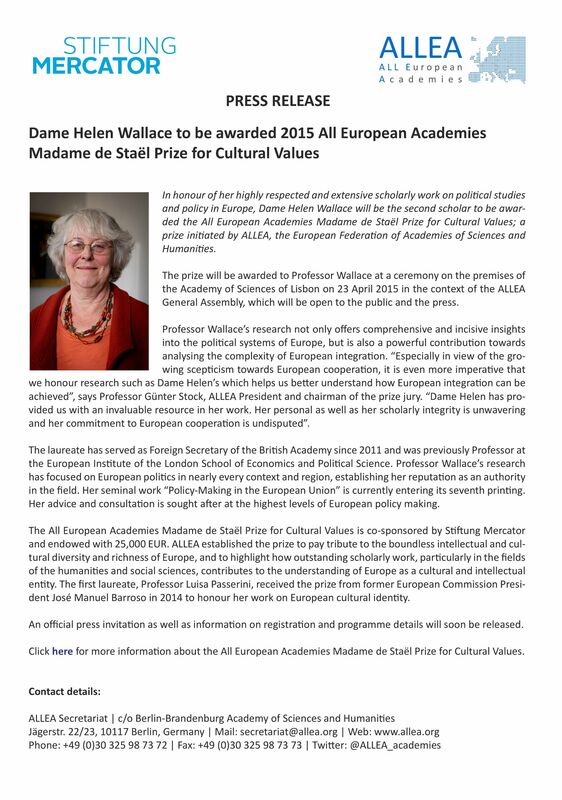 In honour of her highly respected and extensive scholarly work on European political studies and integration, Dame Helen Wallace of the British Academy was the second scholar to be awarded the 2015 All European Academies Madame de Staël Prize for Cultural Values; a prize initiated by ALLEA, the European Federation of Academies of Sciences and Humanities. The prize was awarded to Professor Wallace at a ceremony on the premises of the Academy of Sciences of Lisbon on 23 April 2015 in the context of the ALLEA General Assembly, which was open to the public and the press. 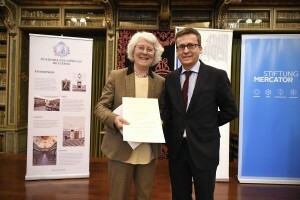 The European Commissioner for Research, Science and Innovation, Carlos Moedas, handed over the prize to Professor Wallace. “Dame Helen Wallace has provided us with an invaluable resource in her work. 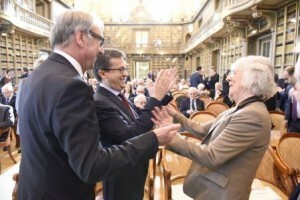 Her personal as well as her scholarly integrity is unwavering and her commitment to European cooperation is undisputed”, stated Professor Günter Stock, ALLEA President and chairman of the prize jury, in his speech to the ceremony’s international audience at the Academy of Sciences of Lisbon. The laureate has served as Foreign Secretary of the British Academy since 2011 and was previously Professor at the European Institute of the London School of Economics and Political Science. 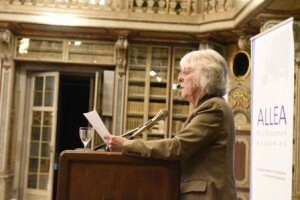 Professor Wallace’s research has focused on European politics in nearly every context and region, establishing her reputation as an authority in the field. Her seminal work Policy-Making in the European Union is currently entering its seventh printing. Her advice and consultation is sought after at the highest levels of European policy making.